Who are the people that made the sport of snowmobiling a worldwide viable sport and winter activity? 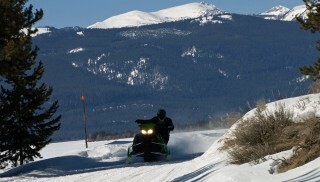 Obviously, in a sport with its serious growth stretching back more than five decades into the late 1960s, some of the players have passed on and had their commitment and passion for snowmobiling continued by others. The glamour names of snowmobiling, the early pioneers that created the hardware of snowmobiles, like Carl Eliason, J-Armand Bombardier, Edgar and Allan Hetteen, David Johnson, and others laid the framework for a sport. Their work was almost the easy part. The sleds needed to be created first, but they necessitated a framework for use areas, trails and trail systems for the sport to achieve growth. This has been the hard part, the unglamorous part that most of us rarely think about. Today we snowmobilers, who average 40-plus years of age, assume that the trail networks and approved snowmobile play areas have always been there for us. That’s not true at all; achieving those trails and that infrastructure required hard work by dedicated snowmobilers who work in the shadows of fame, with little recognition. Institutions like the International Snowmobile Hall of Fame in Eagle River, Wis., seek to “out” the hard work of volunteers, snowmobile club workers, trail and program developers, explorers, adventurers and, of course, the inventors, designers and snowmobile manufacturing personnel who continue to make a difference to the sport’s growth and well-being. To that end, ISHOF annually nominates for induction key people within the sport who have worked to promote snowmobiling. This year, ISHOF selected four people to represent the history of the sport through their individual efforts. Named as ISHOF 2016 Hall of Fame inductees are: Walt Pederson, Jack Hausner, Donna White and Jerry Schmier. 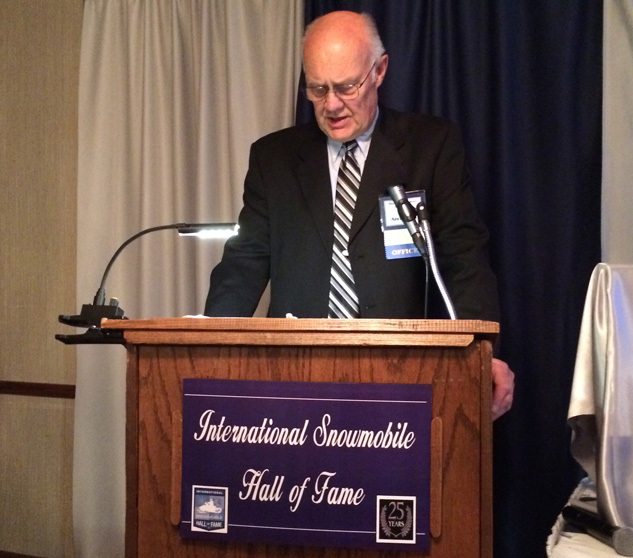 Their induction is the highlight of the annual International Snowmobile Hall of Fame Induction Banquet, which will be held Saturday, September 24, 2016 at the Eagle River Inn in Eagle River, Wis. This ceremony brings together many of the most elite individuals of the sport to celebrate and honor these four new Hall of Fame members. Minnesotan Walt Pederson earned early fame among snowmobilers as a member of the 1968 Plaistad Polar Expedition, the first to ever reach the North Pole by snowmobile and arguably the first ever to achieve that goal. Growing up on a Minnesota farm, Walt Pederson’s natural mechanical abilities soon flourished. A snowmobile enthusiast, he did not hesitate to join the Minnesota-based Ralph Plaisted’s planned North Pole expedition in 1968. Walt’s duty on the trip to the Pole was to keep the expedition’s four Ski-Doo Olympiques running at temperatures as low as minus 60 degrees throughout the grueling 43 days and 800+ miles it took to reach the North Pole. He also served as the “Chaplin” of the group and used his positive attitude to provide the inspiration the group needed to keep going in spite of the harsh conditions they faced. Once, when a storm kept them sheltered in tents for seven days, Walt wrote, “All the fears a man can have tormented through my mind from the claustrophobia.” But they prevailed and were proven to be the first to reach the North Pole by overland route. Following the trip, Walt continued as a Ski-Doo dealer, inventing an improved snowmobile speedometer, handlebar warmers, and even creating a coloring book for kids. When he would be interviewed by numerous local and national news media, he always promoted the machines and the sport of snowmobiling. “God gave me more ambition than a man should have,” he replied when asked about his accomplishments. For his many contributions to the sport and adventures, Walt Pederson is being inducted into the International Snowmobile Hall of Fame. Jack Hausner of Mahnomen, Minn., and the term snowmobiling have been synonymous in much of Northwest Minnesota for the past 50 years. Hausner became hooked on the sport following his first snowmobile ride in 1963. That led him to becoming a Polaris dealer where he recognized that for the sport to be viable and grow, snowmobiling needed an infrastructure of clubs, trail systems and a safety program. 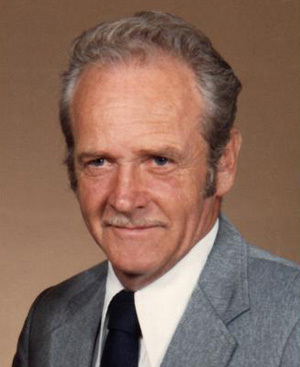 He set about working toward creation of a snowmobiling network integrating the snowmobile and snowmobiler. A member of seven different area clubs, he held offices, directorships and chairs in all of them during this time. He developed and promoted the Snodeo concept of local competitive events and fun activities. He has run the Snodeo for 43 years. Always on hand to chair or help in various snowmobile events trail rides, Christmas rides and even starting a “Midnight Mass” ride, Jack’s energetic enthusiasm and smile reflected his desire to share the enjoyment of the sport of snowmobiling with everybody. During his years as a dealer for Polaris, Ski Doo, Kawasaki and Arctic Cat, his dealership, Jack’s Motorsports, sold thousands of sleds. He drew customers from two states who came to buy from the dealer with the reputation of honesty, integrity and fairness along with total dedication to the sport. Even in his retirement, the name of Jack Hausner resonates snowmobiles and snowmobiling. 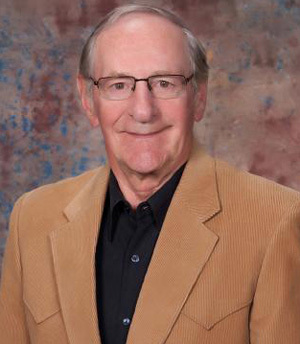 It is for over a half century of service that Jack Hausner will join other icons of the sport with his induction into the International Snowmobile Hall of Fame. Fifty years ago, snowmobiles opened up an entirely new life for winter tourism and adventure in West Yellowstone. In the 1960s Jerry Schmier recognized snowmobiling’s ability to allow winter travel in Yellowstone National Park. As an early adventurer and explorer of the Park, he launched a snowmobile rental dealership and operated a motel for visitors to the area. 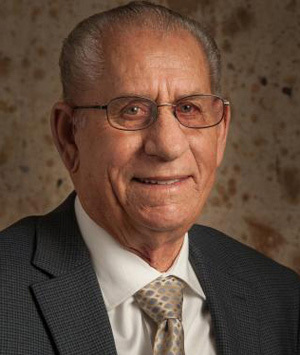 For more than 50 years he has been a leader in developing the trails and grooming programs that, while starting out to be just for the locals, soon became a 200-mile trail system that today ranks among the most popular systems in North America. He was one of the original founders of the West Yellowstone Snowmobile EXPO and volunteered in making the snowmobile manufacturers “Snow Shoot” an annual event and a major economic boost to the local economy. Upon his retirement, his business, Yellowstone Adventures & Dealership, is now managed by his sons, but he still works to promote the sport. States Marge Wanner, Snowmobile Event Coordinator for West Yellowstone Chamber of Commerce, “Volunteers make a community and Jerry Schmier has made a wide swath on the trail to community enhancement and economic success due to his snowmobile dealership alliance, his knowledge and involvement of snowmobiles and to the sport of snowmobiling in general,” For his lifetime of dedication to the sport, the snowmobile industry and community, Jerry Schmier is being inducted into the International Snowmobile Hall of Fame. For more than 40 years, snowmobiling has been a major player in Donna White’s daily activities. Like many of us, the “snowmobile bug” took over Donna White’s life, leading her efforts to volunteer on behalf of promoting the sport. Over the years she’s served a long list of snowmobiling organizations, held offices in them, created programs and chaired activities at the local, state and national levels of the sport. As a charter member of her local club in 1972, Donna advanced through the ranks of organized snowmobiling with an unfailing dedication to making the sport better. She was the first woman to serve as president of the Association of Wisconsin Snowmobile Clubs (AWSC). 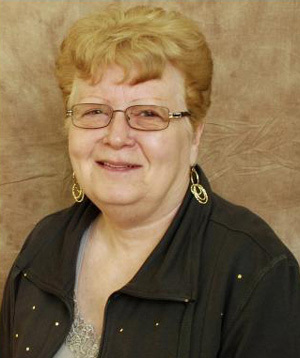 She served on the state’s Governor’s Council for 18 years, was Secretary/Treasurer of the Midwest Chapter of the International Snowmobile Council (ISC), then its Chair for two years. For the past 15 years she’s chaired the AWSC Scholarship Program. In 2013 Donna co-chaired the ISC in Green Bay, Wis. and has attended numerous ISC “Fly-Ins” in Washington, DC to promote the sport to elected representatives as a member of the Legislative Committee. Her career has been one of an unselfish volunteer, invaluable player, exemplary service, professionalism and dedication. Donna was inducted into the Iron Dog Brigade in 2004 and now will be inducted into the International Snowmobile Hall of Fame. ISHOF executive Tom Anderson outlines the process to being nominated for induction to the International Snowmobile Hall of Fame. 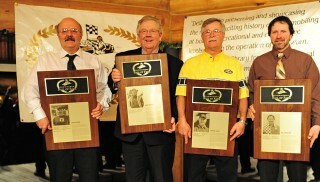 The history and likenesses of these four newly inducted ISHOF Hall of Fame members will be available for viewing along with the past inductees at the World Snowmobile Headquarters, which houses seven different snowmobile groups or organizations as well as vintage and racing displays. Located at 1521 N. Railroad Street in Eagle River, Wis., the official “Snowmobile Capital of the World,” the World Snowmobile Headquarters is open six days a week from 10 am till 4 pm. You’ll also find a large snowmobile-oriented gift shop with clothing, DVDs, books, novelties, mugs and snowmobile designed jewelry.